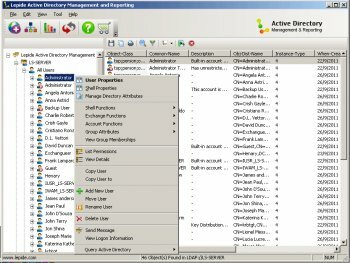 Administrators can do a lot of activities in order to manage the users, groups, computers, servers, containers, etc. In a domain, the software allows bulk management of the users, groups, and computers. In addition, the Administrators can set the automation of user, group, and computer tasks on scheduled intervals. Administrators can create the users in bulk, move them to a different container, or perform another task.